The Hatherleigh Foundation makes annual grants and awards in the areas of education, enterprise and innovation, health and medicine, environmental preservation and exploration, and world peace. 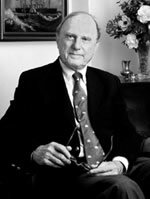 Frederic Flach, MD, KCHS (1927-2006) was an internationally recognized physician and author, Dr. Frederic Flach devoted more than 45 years of private practice, scientific research, and teaching to understanding depression and the role of resilience in individual psychology. He combined his professional responsibilities and interests with a dedication to community service, patient advocacy, continuing education and charity. The Frederic Flach, MD Angel Fund provides annual grants to individuals seeking to better their communities. The Wawókiye Award is based on the Lakota philosophy of Wawókiye, meaning “to help another with no expectations of reward or payment.” The Wawókiye Award is given to an individual or organization which as demonstrated exceptional service and giving to the community at large. For timely review and preparation of a recommendation to the Hatherleigh Foundation, please send the name of your candidate along with biographical information, a description of the individual’s or organization’s contribution to the cause of service and giving, and a contact person for further information.